Last week, a new album in the De Beste Verhalen van Donald Duck (“The Best Stories of Donald Duck”) series came out in the Netherlands. Album number 134 is the first new album in over a year. 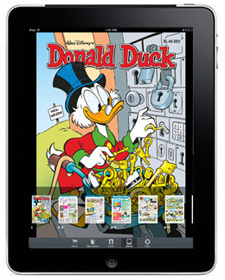 “Beste Verhalen” has reprinted (randomly) each story by Carl Barks since 1975. The albums were published regularly for over two decades until the Dutch publisher ran out of stories last year. 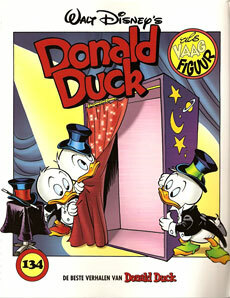 Album number 132 basically finished with the last few stories written and drawn by the Duck Man himself.